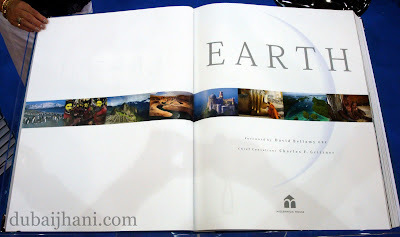 I came to know that, world's biggest Atlas "EARTH" is on display at Abu Dhabi Book Fair 2009 and I captured that book with my cam last Friday on 20.03.2009 evening during my visit there, here are the pictures which I shot. 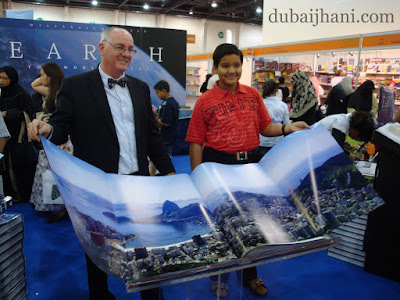 in above photo Mr Gordon Cheers, MD of the Millennium Hose Pty Ltd is introducing the book to the visitors. 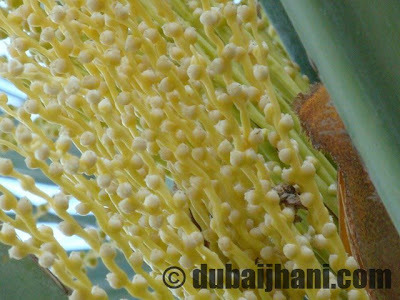 some of the gate fold pages of this book are around 2 meters width as in above picture. 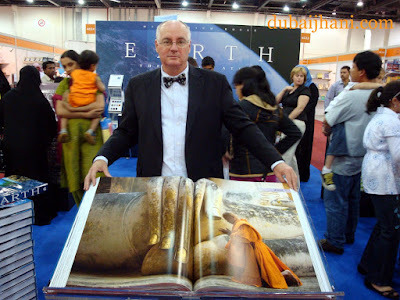 The “Earth” is a 20 years dream and passion of Mr Gordon Cheers, MD of the Millennium Hose Pty Ltd, Australia and it was hand bound book of present Modern era which took 2 years in production and finally in weight around 20 KG.